Based in Boulder, Colorado and powered by collectors worldwide, hobbyDB is building a giant database of every collectible ever made – from diecast cars to action figures to comic books to corkscrews. On our platform, all of those things are interrelated in every possible way. That means you can quickly and easily find everything made by Mattel, Märklin, Matchbox or Maisto. Or you can find every model of a Ford Thunderbird, Harley Davidson motorcycle, or Airbus jet. You can even find a manual for your vintage car, everything that has Coca Cola logo, has a World War II theme or is related to your favorite TV show or fictional character or movie star (whether that’s Star Wars or James Bond or Bob Hope). It’s also more than just a place to research, browse and reminisce. The database powers a collection management system where users can upload images and record data about their own collectibles to keep track of them. There is also a marketplace where users can list their items for sale with just a few clicks, build wish lists and receive alerts when stuff they want to buy goes up for sale. It’s a whole collectible ecosystem! Interested in finding out more about the data in the catalog? 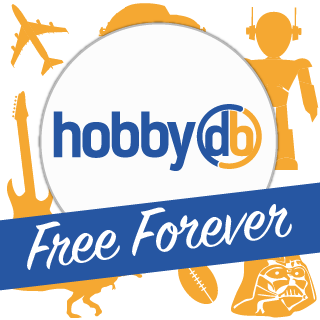 Read the hobbyDB Free Data Manifesto now! To support the daunting task of cataloging every collectible ever made, hobbyDB is assembling an international panel of product category experts from across the collecting spectrum. In addition to providing hobbyDB with data and imagery from their own collections, advisors develop category taxonomy and ontology. Meet our advisors here.